Home > Shop > Cool black onyx stone smoking pipe for weed use. Cool black onyx stone smoking pipe for weed use. New Cool handmade 2 3/4 " long. black onyx stone smoking pipes good for dabbing wax with free smoking pipe screens and free shipping within the US. 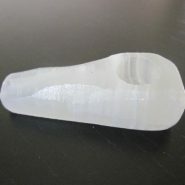 Cool way to connect pot pipe smokers to nature while smoking this wonderful stone pipe. made with love and care for the happy stone pipes smokers here and around the world. good to place in your pocket when smoking at the outdoors. try me now! and start feel the joy of it.